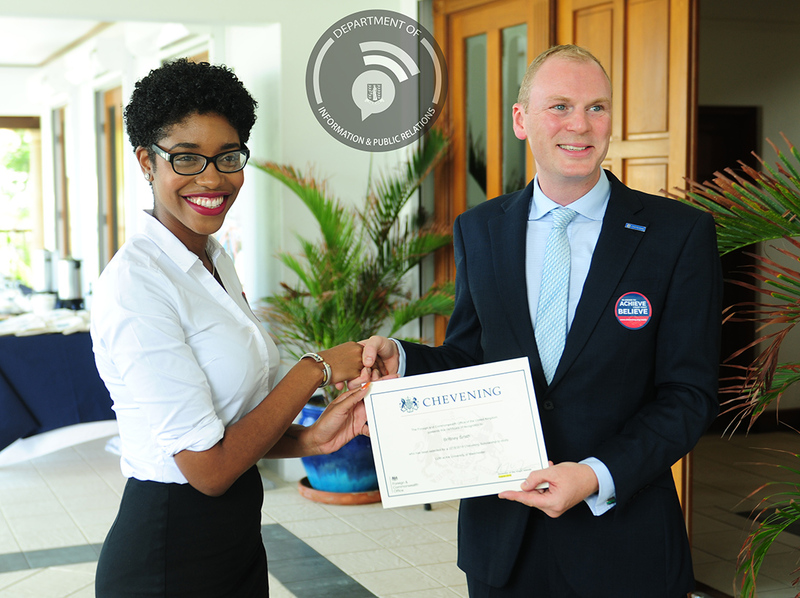 BVI scholars Ms Brittney Smith and Mr Hakim Creque are the recipients of the prestigious Chevening scholarship. 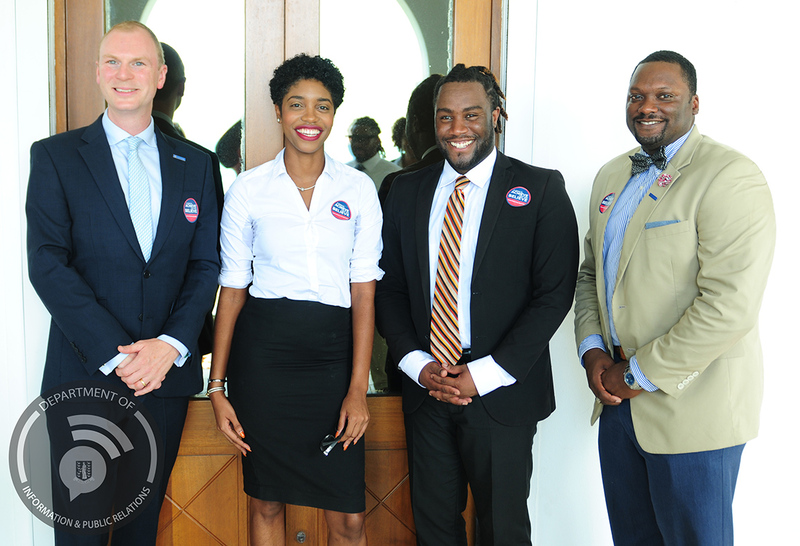 The scholars received their award at a ceremony held on August 28 by His Excellency the Governor Augustus J. U. Jaspert and Deputy Governor David D. Archer, Jr. at an event held at the Governors’ residence in the presence of family, friends and Chevening Alumni. 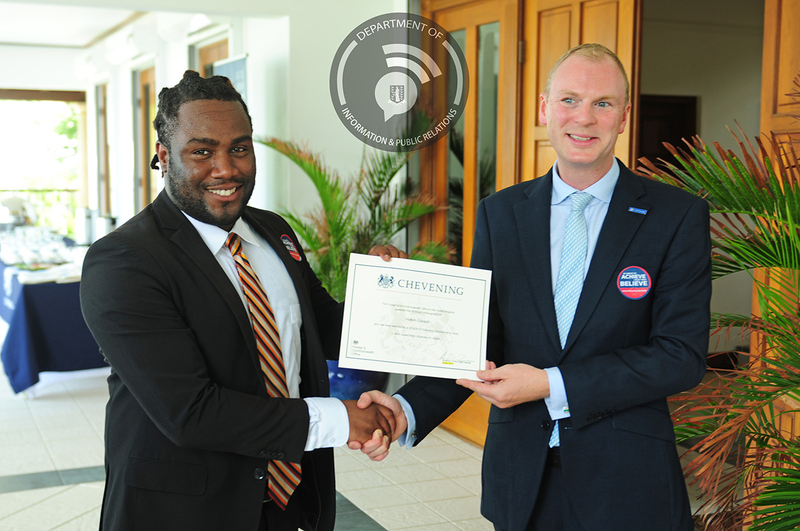 Chevening Scholarships are awarded to individuals with demonstrable leadership potential who also have strong academic backgrounds. Both Ms Smith and Mr Creque will be pursuing master’s degrees in Law. They were joined by Chevening Alumni Rhonda Hodge-Smith and Marlene Harrigan.